"Multiple sclerosis necessitates a highly individualized treatment approach, and the increasing diversity of options is good news"
CAMBRIDGE, Mass.--(BUSINESS WIRE)--Genzyme, a Sanofi company (EURONEXT:SAN and NYSE:SNY) announced today that the European Commission has granted marketing authorization for Lemtrada™. This follows the August 30th approval of Aubagio®. The company intends to begin launching both products in the EU soon. Lemtrada is indicated for the treatment of adult patients with relapsing remitting multiple sclerosis (RRMS) with active disease defined by clinical or imaging features. Lemtrada 12 mg has a novel dosing and administration schedule of two annual treatment courses. The first treatment course of Lemtrada is administered via intravenous infusion on five consecutive days, and the second course is administered on three consecutive days, 12 months later. The Lemtrada clinical development program included two pivotal randomized Phase III studies comparing treatment with Lemtrada to high-dose subcutaneous interferon beta-1a (Rebif®) in patients with RRMS who had active disease and were either new to treatment (CARE-MS I) or who had relapsed while on prior therapy (CARE-MS II), as well as an ongoing extension study. In CARE-MS I, Lemtrada was significantly more effective than interferon beta-1a at reducing annualized relapse rates; the difference observed in slowing disability progression did not reach statistical significance. In CARE-MS II, Lemtrada was significantly more effective than interferon beta-1a at reducing annualized relapse rates, and accumulation of disability was significantly slowed in patients given Lemtrada vs. interferon beta-1a. The most common side effects of Lemtrada are infusion associated reactions, infections (upper respiratory tract and urinary tract), lymphopenia and leukopenia. Serious autoimmune conditions can occur in patients receiving Lemtrada. A comprehensive risk management program will support early detection and management of these autoimmune events. Aubagio 14 mg is a once-daily, oral therapy indicated for treatment of adult patients with RRMS. The EU approval was based on data from the Phase III TEMSO (TEriflunomide Multiple Sclerosis Oral) and TOWER (Teriflunomide Oral in people With relapsing remitting multiplE scleRosis) trials. The EU approval of Aubagio includes new active substance designation. Multiple sclerosis is estimated to affect more than 2.1 million people globally. There are approximately 630,000 people affected by MS in Europe. 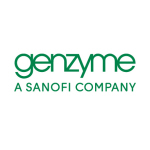 FDA action on Genzyme’s supplemental Biologics License Application seeking U.S. approval of LemtradaTM (alemtuzumab) for the treatment of relapsing MS is expected in late 2013. Lemtrada is also under review by other regulatory agencies. Aubagio is approved to treat relapsing MS in the United States, Australia, Argentina, Chile, and South Korea, and is under review by additional regulatory agencies. LEMTRADA has been in active clinical development for MS for more than 10 years. The clinical development program involved more than 1,700 patients. Alemtuzumab is a monoclonal antibody that selectively targets CD52, a protein abundant on T and B cells. Treatment with alemtuzumab results in the depletion of circulating T and B cells thought to be responsible for the damaging inflammatory process in MS. Alemtuzumab has minimal impact on other immune cells. The acute anti-inflammatory effect of alemtuzumab is immediately followed by the onset of a distinctive pattern of T and B cell repopulation that continues over time, rebalancing the immune system in a way that potentially reduces MS disease activity. Genzyme holds the worldwide rights to alemtuzumab and has primary responsibility for its development and commercialization in multiple sclerosis. Bayer HealthCare retains an option to co-promote alemtuzumab in multiple sclerosis. Bayer HealthCare has notified Genzyme of its intention to co-promote under this option. Upon regulatory approval and commercialization, Bayer would receive contingent payments based on sales revenue. LemtradaTM is the proprietary name submitted to health authorities for the company’s investigational multiple sclerosis agent alemtuzumab. Lemtrada is indicated in the European Union for the treatment of adult patients with relapsing remitting multiple sclerosis with active disease defined by clinical or imaging features. Serious autoimmune conditions such as immune thrombocytopenia (ITP), glomerulonephritis and thyroid disease can occur in patients receiving Lemtrada. ITP and glomerulonephritis occur infrequently. Thyroid adverse events (hyperthyroidism and hypothyroidism) are commonly observed in patients treated with Lemtrada. Serious thyroid adverse events were uncommon. A comprehensive risk management program with frequent lab monitoring will be implemented to support early detection and management of these autoimmune events. The most common side effects of Lemtrada are infusion associated reactions (including headache, rash, fever, nausea, urticaria, pruritus, flushing and fatigue), infections (upper respiratory tract and urinary tract), lymphopenia and leukopenia. Lemtrada is contraindicated in patients with Human Immunodeficiency Virus (HIV) infection. Genzyme® and Aubagio® are registered trademarks of Genzyme Corporation, a Sanofi company. LemtradaTM is a trademark of Genzyme Corporation, a Sanofi company. Rebif® is a registered trademark of EMD Serono, Inc.
Sanofi, an integrated global healthcare leader, discovers, develops and distributes therapeutic solutions focused on patients’ needs. Sanofi has core strengths in the field of healthcare with seven growth platforms: diabetes solutions, human vaccines, innovative drugs, consumer healthcare, emerging markets, animal health and the new Genzyme. Sanofi is listed in Paris (EURONEXT:SAN) and in New York (NYSE:SNY). The Bayer Group is a global enterprise with core competencies in the fields of health care, agriculture and high-tech materials. Bayer HealthCare, a subgroup of Bayer AG with annual sales of EUR 18.6 billion (2012), is one of the world’s leading, innovative companies in the healthcare and medical products industry and is based in Leverkusen, Germany. The company combines the global activities of the Animal Health, Consumer Care, Medical Care and Pharmaceuticals divisions. Bayer HealthCare’s aim is to discover, develop, manufacture and market products that will improve human and animal health worldwide. Bayer HealthCare has a global workforce of 55,300 employees (Dec 31, 2012) and is represented in more than 100 countries. More information at www.healthcare.bayer.com. This press release contains forward-looking statements as defined in the Private Securities Litigation Reform Act of 1995, as amended. Forward-looking statements are statements that are not historical facts. These statements include projections and estimates and their underlying assumptions, statements regarding plans, objectives, intentions and expectations with respect to future financial results, events, operations, services, product development and potential, and statements regarding future performance. Forward-looking statements are generally identified by the words “expects”, “anticipates”, “believes”, “intends”, “estimates”, “plans” and similar expressions. Although Sanofi’s management believes that the expectations reflected in such forward-looking statements are reasonable, investors are cautioned that forward-looking information and statements are subject to various risks and uncertainties, many of which are difficult to predict and generally beyond the control of Sanofi, that could cause actual results and developments to differ materially from those expressed in, or implied or projected by, the forward-looking information and statements. These risks and uncertainties include among other things, the uncertainties inherent in research and development, future clinical data and analysis, including post marketing, decisions by regulatory authorities, such as the FDA or the EMA, regarding whether and when to approve any drug, device or biological application that may be filed for any such product candidates as well as their decisions regarding labelling and other matters that could affect the availability or commercial potential of such product candidates, the absence of guarantee that the product candidates if approved will be commercially successful, the future approval and commercial success of therapeutic alternatives, the Group’s ability to benefit from external growth opportunities, trends in exchange rates and prevailing interest rates, the impact of cost containment policies and subsequent changes thereto, the average number of shares outstanding as well as those discussed or identified in the public filings with the SEC and the AMF made by Sanofi, including those listed under “Risk Factors” and “Cautionary Statement Regarding Forward-Looking Statements” in Sanofi’s annual report on Form 20-F for the year ended December 31, 2012. Other than as required by applicable law, Sanofi does not undertake any obligation to update or revise any forward-looking information or statements.